Chisholm, Hugh, ed. (1922). "Marconi, Guglielmo" . Encyclopædia Britannica (12th ed.). London & New York. 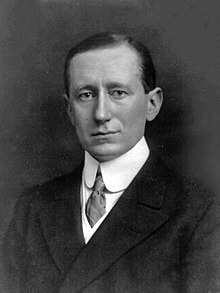 U.S. Supreme Court, "Marconi Wireless Telegraph co. of America v. United States". 320 U.S. 1. Nos. 369, 373. Argued 9–12 April 1943. Decided 21 June 1943.